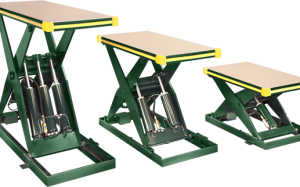 Scissor Lifts are reliable mechanized tables for work positioning, assembly, order picking, pallet loading, and a wide range of other applications such as work benches or packaging. 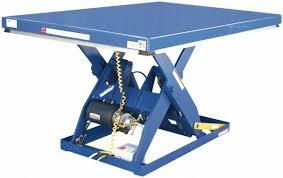 Easily lifts machinery, parts, material work in progress, etc. Many sizes, capacities and styles available for your specific application..